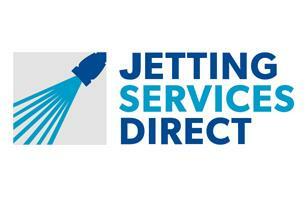 Jetting Services Direct Ltd - Cleaning Services, Drain/Sewer Clearance based in East Grinstead, West Sussex. We specialise in clearing blocked drains, sinks, toilets etc. Our services include cctv drain surveys and drainage repairs covering South London, Kent, Sussex, Berkshire, Surrey and Dorset. Jetting Services Direct deliver the complete range of great value specialised drainage services from a blocked sink or a main drain at home to a full preventative maintenance contract at work including cctv drain surveys, drain repair/renewal, high pressure water jetting or any specific issue you may need investigating. Jetting Services Direct Ltd offer all types of domestic and commercial drainage services at competitive prices, our experienced teams are experts in dealing with all types of drain blockages, gutter cleaning and handling anything from waste pipes to main drains, all works are completed to the highest standard regardless of size and we assure you of our best attention at all times. Our drain cleaning clients in Sussex, Surrey, Kent, Dorset, Berkshire and South London, range from a residential customer in a small terraced house through to large commercial clients in colleges, hotels, industrial units and retail parks. We are pleased to say that we are a Safe Contractor accredited company. This means that our health and safety procedures have been independently audited by a professional body. For a FREE no obligation quote for drain cleaning in the Sussex, Surrey, Kent, Dorset, Berkshire and South London area, call 020 3151 4846 today.